"The reality is that neither Oswaldo nor Harold died at the time, the reality is that there was no collision with any tree, the reality is that we were taken off the road and they got rid of the two Cuban dissidents, which why the two Europeans are unharmed." Now there is a book that provides greater and more complete details on what happened and serves the important purpose of placing the case of Oswaldo and Harold back in the media spotlight. 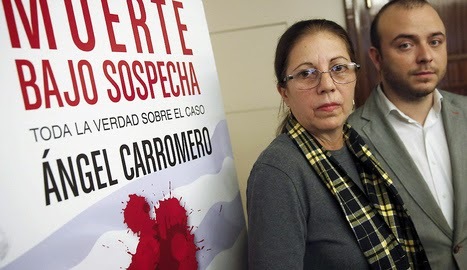 Carromero has received death threats in Spain and taking this stand of telling the truth makes him a target of the Castro regime and its infamous state security services. If he had accepted what the Cuban government wanted him to accept I would not know today what really happened. I would not know with all the details that I know today what happened. We are grateful to Angel and we've said it to him many times. That he had the courage, with how young he is, and in a world today where personal interests are generally above the dignity of persons. That he has been able to write this book and give his testimony. We have not received, it has been null, the support of judicial institutions of this country, of Spain . We filed a complaint with the national audience. All we wanted was to open an investigation. We had enough evidence for this to have happened and it did not happen. We just want to say that we will continue to explore opportunities to open an international investigation, it is our right . We now have the more explicit testimony of Angel. I know the argument of the Court, the trial judge , or the prosecutor , is that they have the trial in Cuba. It's almost a perfect crime. It is a total trap. You get out, but your exit is modified by a trial which we all know does not have any guarantees. That trials in Cuba where the Cuban government where it controls all power: judicial, administrative, and all others. The fact is that they [The Spanish government] accepted to ventilate this matter, as if it where any consular case, to use the treaty between the two countries , and not as what it was, a political case. ... It is a known fact by the Spanish government and the rest of the world. The way to get Ángel out was that one. Possibly otherwise at this point Ángel would have followed the same path of Oswaldo and Harold or would be rotting in a cell in Cuba. He had finalized a project for a political alternative to the government; he had prepared a transition program precisely inspired by the Spanish transition, ...I take this opportunity to convey my condolences to the family of Adolfo Suárez who masterfully lead this transition and thanks to him and a group of generous people who put aside their personal projects to work together for the common project of democracy for the Spanish people. Spain lives a democracy now and has for many years. That has still to happen in my country. 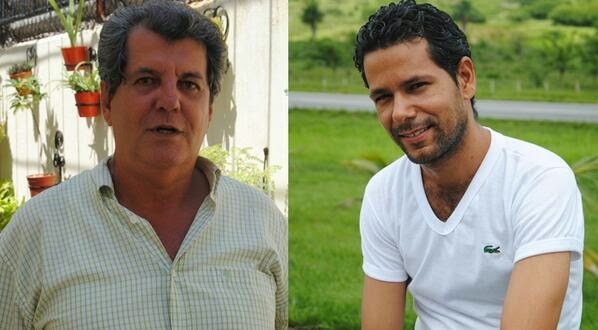 Oswaldo Payá led that transition project that the government of Cuba does not want. The military dictatorship that has been in my country for 55 years does not want this. It does not want to talk about rights. It does not want to talk of free elections. It does not want to talk of my people being consulted to choose freely their future in Cuba. There have not been free elections in 62 years. 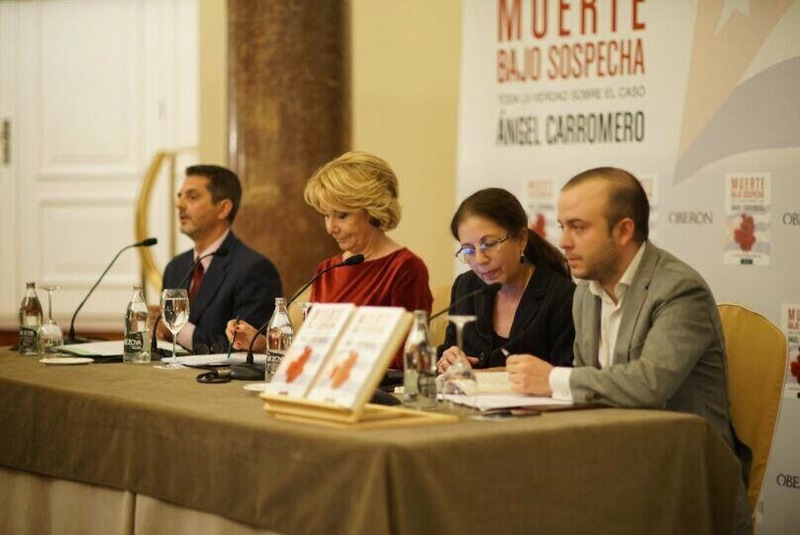 During the book presentation Ángel Carromero raised an important question that was tweeted at the time: " "I don't understand how one can believe the dictatorship's version against version of the deceased's families." Thankfully, many people of good will are siding with the families of Oswaldo and Harold. Sadly, the death threats of the Cuban dictatorship have forced the Payá family into exile providing them an opportunity to directly engage the international community.